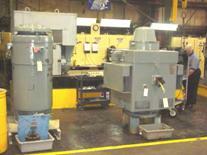 Texas Electric Equipment Company, Ltd.
· MOTOR MANAGEMENT SERVICES, including storage and tracking of critical spares. Texas Electric Equipment Company, Ltd. was established in 1973 to serve the Greater Houston and Gulf Coast Industrial Customer. A commitment to our customers is reflected through capital investments in equipment, expansion of facilities and development of repair and service technologies. 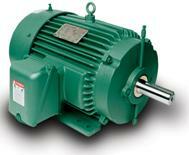 · COMPLETE Mechanical & Electrical Services. · DUAL TEST STANDS with full voltage testing to 3000 HP at 4160 volts AC and 600 volts DC. · GROUND TEST BED, 60" x 173" x 10.5" with an integral isolated seismic foundation. · 84" VPI TANK with 100% SOLIDS EPOXY RESIN proven to have excellent electrical reliability, chemical resistance and heat transfer properties. 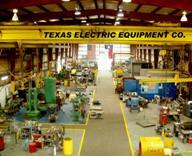 · 30 TON OVERHEAD CRANE CAPACITY at each facility. · COMPUTERIZED CORE and BALANCE TESTING assuring quality control and repeatability. · COMPUTERIZED FINAL & VIBRATION TESTS. · QUALITY ASSURANCE PROGRAM with calibration schedule and process controls.